Forest Hall Admirals finished off the season in style, leaving ‘Old Durham Town’ in the dust to win the final league match of 2016-17 by the impressive margin of 4½-½. 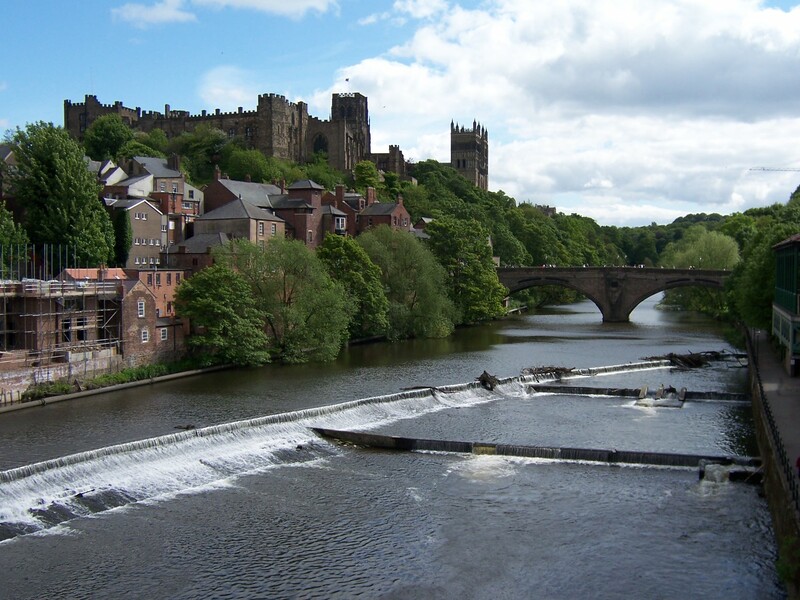 Durham looked to be one of our main rivals this season – especially when they could turn out their top three 200+ players, Thomas Eggleston, Ken Neat and Ian Watson. But in Wednesday’s match, Forest Admirals laid siege to Durham’s castle and – as Michael Caine would say – blew more than the proverbial doors off. Zheming Zhang completed a good season with a solid draw as Black against Szymon Palucha, while on board 4 Alan Harvey showed some positional mastery to win on the white side of a complex King’s Indian. A team captain Mark Younger saw off the challenge from Sebastian Palucha, taking a piece sacrifice and holding on to win the endgame. The 4½-½ victory was the A team’s biggest win all season, giving us 17 match points out of a possible 20, leaving a margin of at least 3 match points ahead of second-placed Gosforth Empire. Gosforth will probably finish ahead of us on game points (we sccored 32/50, wheareas they can get a maximum of 34 after playing their B team in the last round). But since it’s match points that count, Forest Hall A’s more efficient approach (wins of 3-2 and 3½-1½ were the norm) came out on top. Definitely a triumph for team work! All the players who turned out for the A team this season have done a fantastic job. Congratulations to the whole squad: Martin Seeber, Zheming Zhang, Mike Smith, Yichen Han, Mark Younger, Stuart Skelsey, Alan Harvey, myself and last but not least Danny Gormally! This final win caps off a brilliant season for the club, who in the end finished comfortable winners of both Division 1 and Division 2. Next Follow Tyneside Easter Congress live! Previous Still time to enter the Easter Congress!